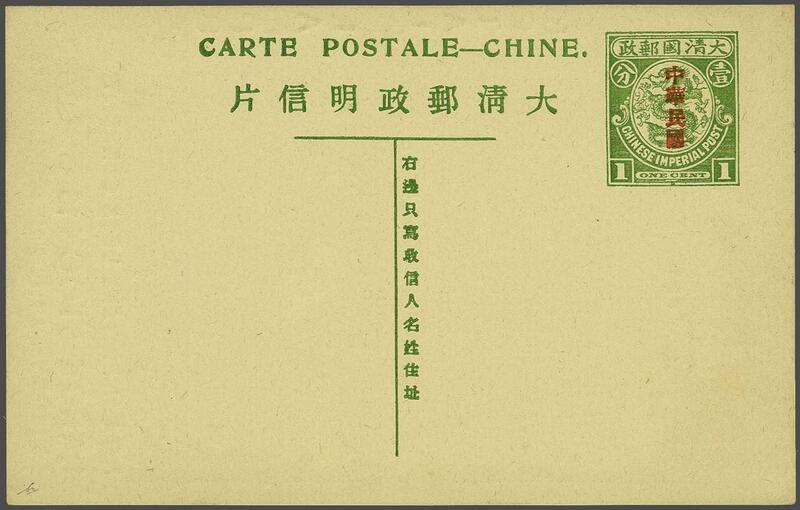 1912: 1 c. green postal stationery card, 'Republic of China' overprint in red by the Statistical Dept. 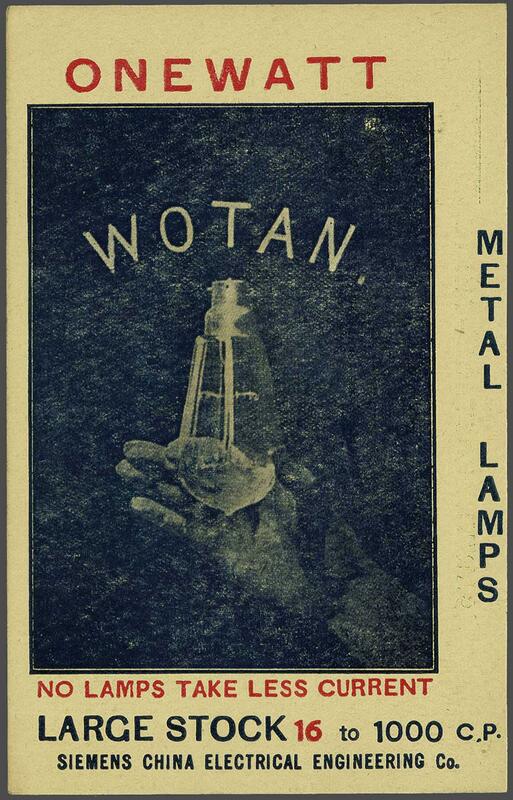 of Customs, Shanghai, with "Wotan Metal 1 Watt Lamps" illustrated advertisement on reverse. Fresh, fine and most unusual.